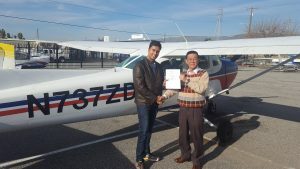 Woohoo, we have a new private pilot in our midst! 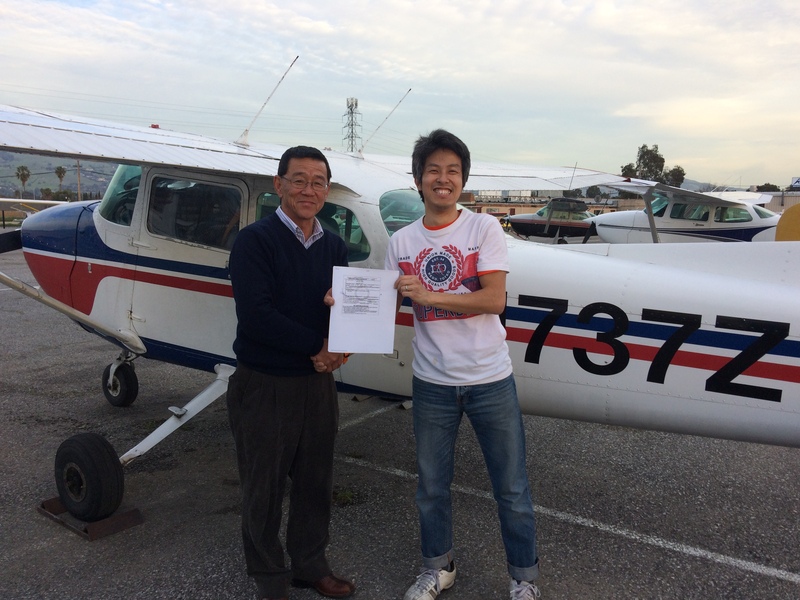 Chuang flew through his checkride with pilot examiner Yuzo (pun intended). 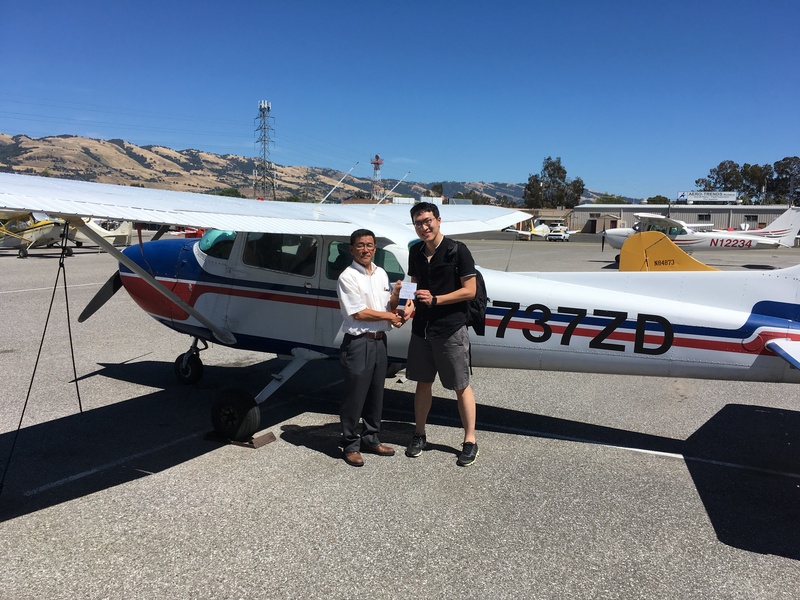 Thanks to the hard work of both Chuang and his intructor David, our newest licensed pilot will soon be one of those airplanes out buzzing the blue San Jose skies. Congrats to all who made this dream possible for him. 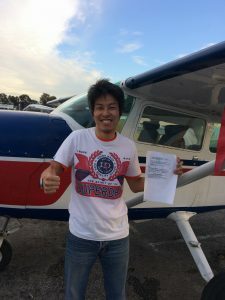 “Today is a very special day for me since my long time dream of taking to the skies has finally come true. I don’t have to just stare at the sky and wish I could fly anymore; I can just hop on a plane and get there. 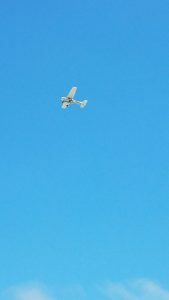 I am looking forward to one day becoming a CFI and sharing my passion for flying with others too. And a big, “way to go” from all of us at AeroDynamic to you, Malick, for this awesome accomplishment! From all the instructors who know and flew with Stanley – we are so proud of your dedication to earning your first pilot license! 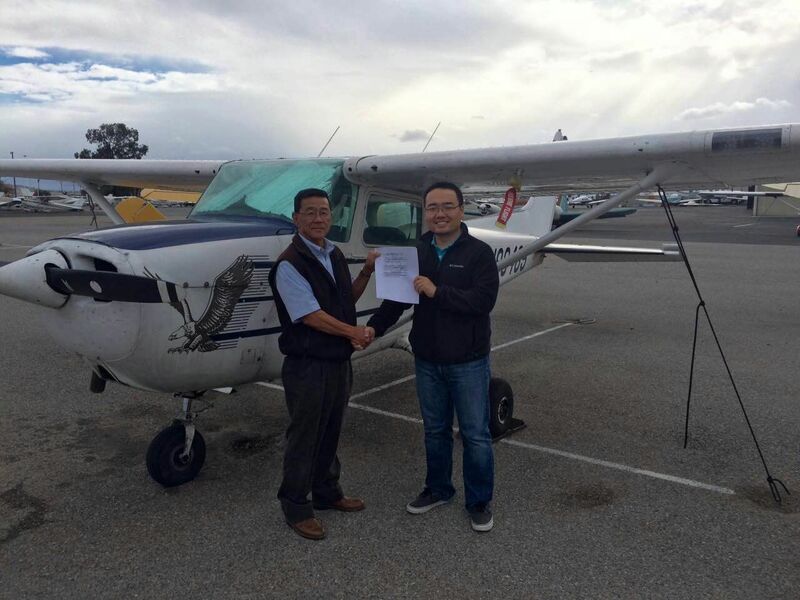 Stanley was originally accepted into the pilot program in China, where he grew up, and was sadly denied after a minor issue with his vision. 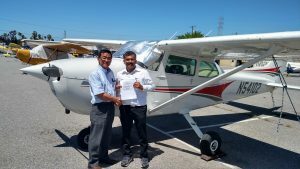 After moving to the US many years ago, he decided to fulfill his dream of becoming a pilot. In America it is easy to take for granted the fact that we can choose to become a pilot or fly for fun. After hearing Stanley’s story and getting to know him, we are reminded how lucky we are to be able to fly whenever we want and how lucky we are to be able to train a hard-working person who is so passionate about flying. Thanks, Stanley! 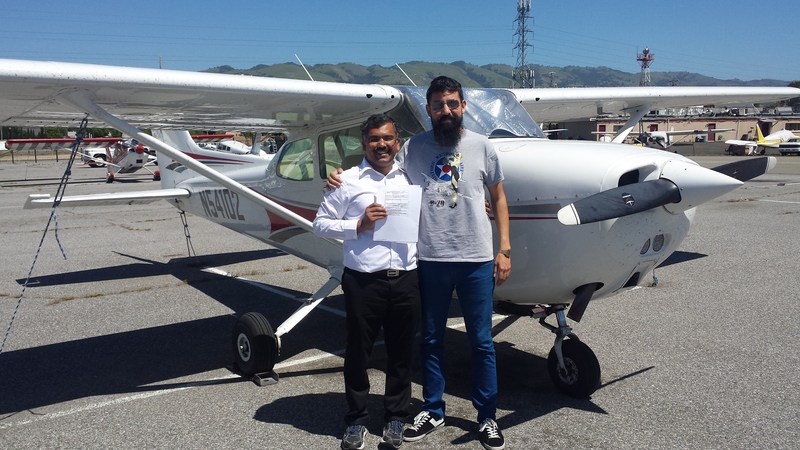 A big congrats to Harsh and his instructor David for passing a checkride on the first attempt, which is quite a feat these days! 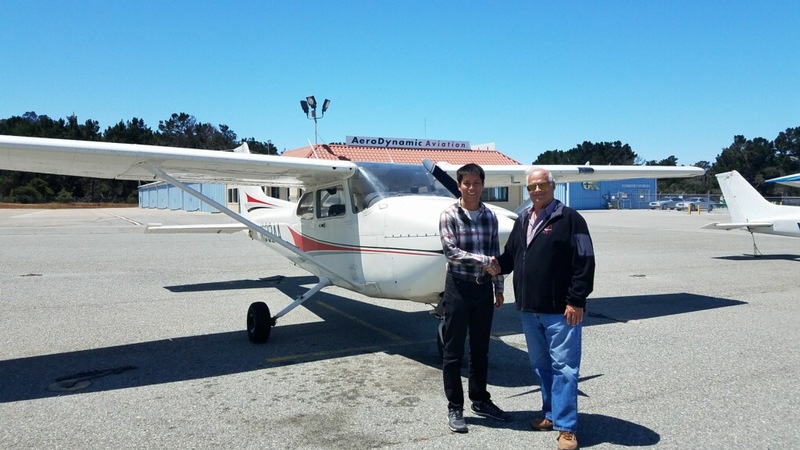 Despite the weather delays we’ve seen in California this time of year, with heavy rains and storms, Harsh and David were able to finish up the training and found a beautiful day to complete the checkride. Way to go. Whoot whoot! Dustin begin his training with Instructor Lynzie Hudson. When she went on leave, he transitioned to Eric Curtis. 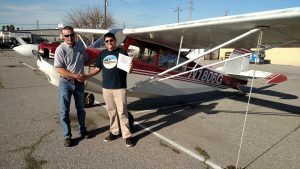 The whole AeroDynamic team pitched in to help Dustin complete his goal of becoming a pilot. 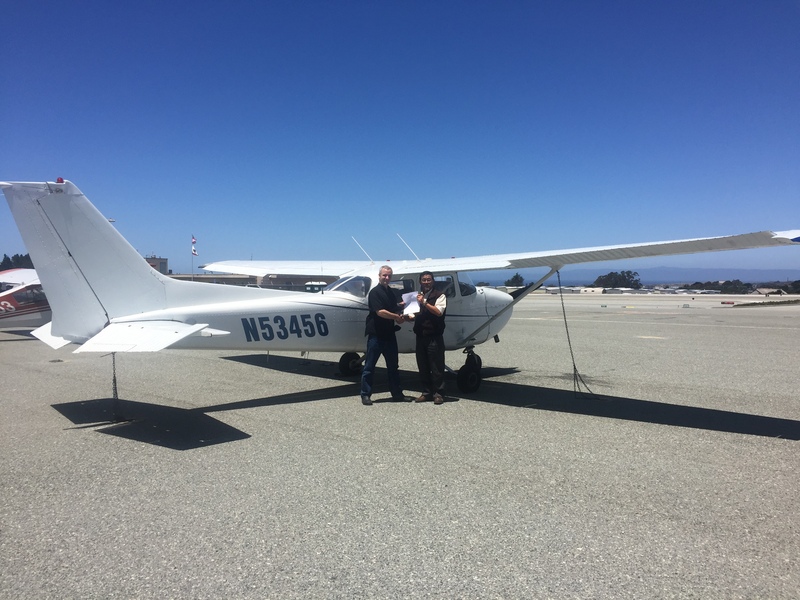 Special thanks to Jim Grant, Jen Delp-Mallet, David Waksberg, Jason Brown, and the other instructors who made this possible for him. Congrats, Dustin!! Woooohooooo! Way to go! 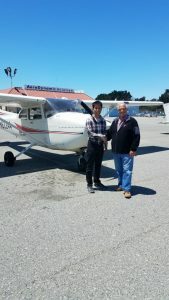 Paul Cain finished his training and earned his Private Pilot License today in one of our Monterey Cessna 172s. 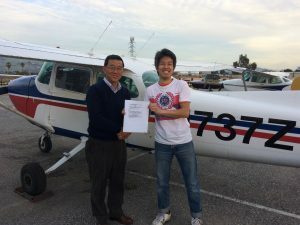 Examiner Yuzo Wakita put him through his paces, but Paul’s hard work and studying paid off with a first-time pass of his checkride. 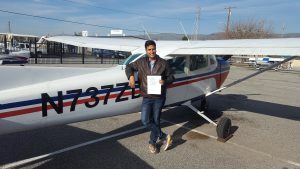 Instructor Jamie and the rest of us couldn’t be more proud of his accomplishment. See you in the air! 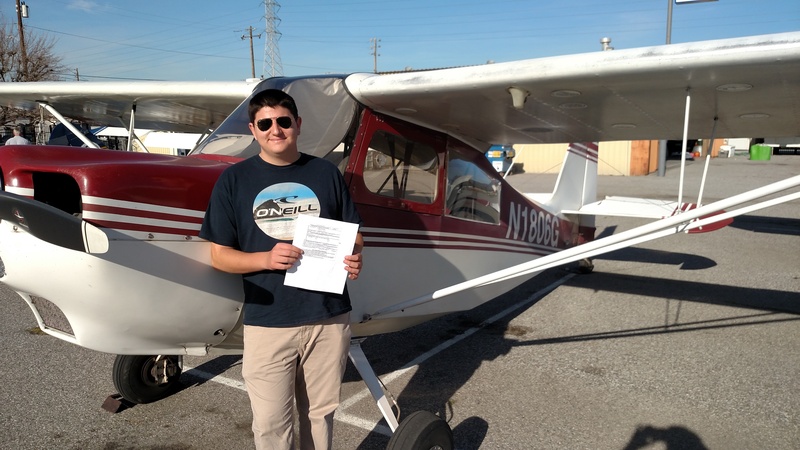 Under the careful tutelage of Instructor Coby, Dan recently became a licensed private pilot! 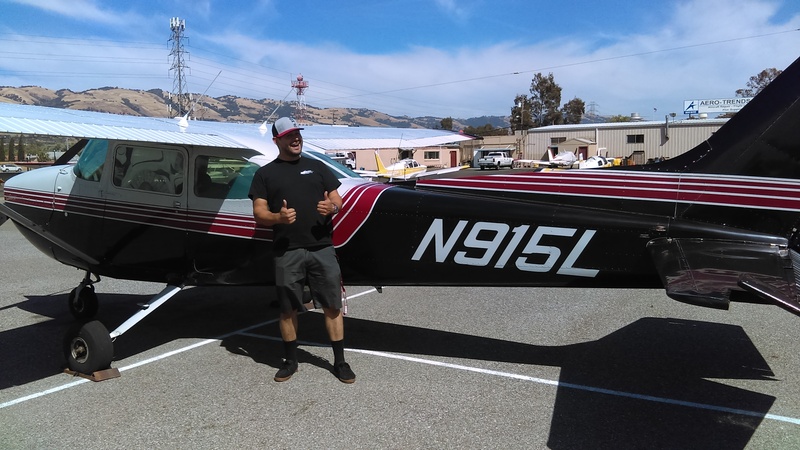 His checkride took place at San Martin airport, near Gilroy and Morgan Hill, with examiner Eric Cook. 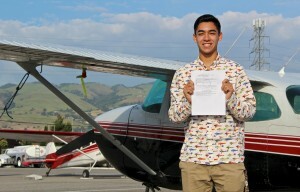 Dan plans to continue his flight training to become an airline pilot one day soon. 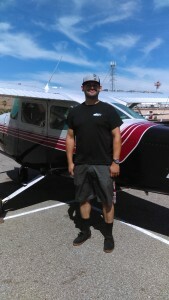 He tackled this first step and is now on to earning an Instrument Rating! Owen is an avid aviation photographer working for Lafferty Aircraft Sales. 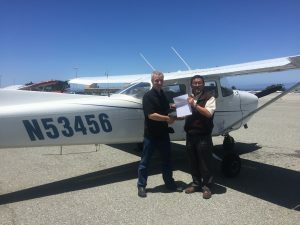 He just earned his first (of many) pilot licenses – Private Pilot. All your hard work and enthusiasm paid off. 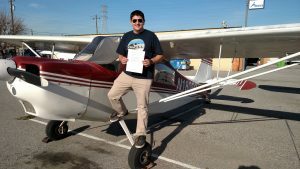 Jason and all of us at AeroDynamic are so proud of your accomplishments and look forward to seeing where your pilot career will take you! 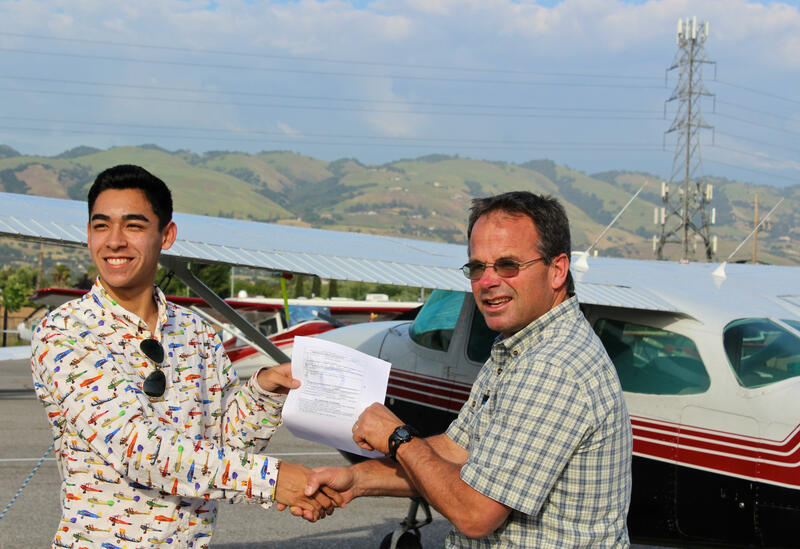 Checkout Owen’s amazing video of his journey from newbie to licensed pilot. You can also follow his YouTube channel for new videos as he flies on airplane deliveries and checkout flights in awesome aircraft.